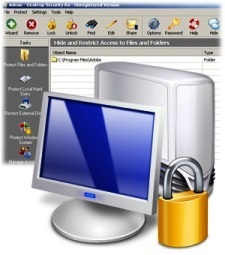 There are some easy yet effective methods of protecting your PC from all manner of issues. Some nasty items out there slow your PC down, some break it, but if you follow some of the protection tools below, you should reduce or prevent most of the problems. Set passwords on ALL your accounts...this includes your hidden Administrator account. Make the passwords with numbers, capitals and avoid words/names. This is very important to Protect My PC. Beware of free access points - this is where the hackers hang out waiting for you to intercept your logins. Keeping off these free wifi points will protect your PC from them. "Protect My PC" and yourself by not putting too much on Facebook and other social networking sites. Do not put your date of birth, birthday, address, where you are going that night or week. Theives may well use that information to steal your indentity or even your laptop. By keeping things light and on the surface, you are protecting your PC. Don't trust links and software emailed to you by friend. Of course it will come from a friend - they have your email address. "Protect my PC" by not clicking on any of these links as Malware may be on the site they are directing you to. Same goes for clicking on links from people you do not know, you'll protect my pc by deleting those straight away. Backup. Backup as much as you need to, and have offsite CDs of photos, movies, stuff you cannot replace. Backup your iTunes, as insurance companies will not pay you for those. Backup everything and you're protect my pc. We can supply a new PC, but not your baby photos. Use the free online backup for files, memory sticks, portable hard drives. Protect my PC by installing good antivirus software. Keep it updated. Know the name of what you have installed, and do not click on anything that pretends to be antivirus - there are loads of pretend antivirus programs on websites. They are clever and copy screens from your PC. Just close those windows and trust your own antivirus program. Keep you passwords different on your online services. It may be a pain, but if someone cracks your password from one system - they can then crack all your systems where you used the same. So protect my pc by keeping them different and change them every now and then. An easy way, but a pain to run, is to have two logins. One will keep my PC protected by not having Administrator rights. You can login when you need to install software with adminstrator rights...it'll keep my pc safe. Microsoft keep releasing updates. My personal method for putting them on and protecting my PC is...wait. Yes, wait for a coupld of weeks and put the KB number into google and see if there are any issues. If all is good - apply them! I always apply the services packs, but only after checking with the PC manufacturer. BACKUP before you apply a service pack. A recent virus attack beat up all the big companies - they simple put it in the Autorun on a CD, a memory stick or a portable drive. So protect my pc by disabling the Autorun facility. You can ask google for how to do this, but'll keep your PC safe. Keep my PC safe, lock me away. Sounds simple, except even my business partner left his laptop on his car seat whilst in the pub for a swift pint! At home, put it away, out of site. On the office - get the laptops put away at the end of the day. If it is harder to get the, then they are more protected. Install a decent malware spyware package. It'll protect my pc. Malwarebytes or SpyBot are my favourites. Scan everynow and then and you'll kill off the trojans that even a good antivirus will miss. Anymore advice, please email me matthew.clark@clever-idea.co.uk.